Barcelona’s star trio Messi, Suarez and Neymar are known for being very close to each-other. 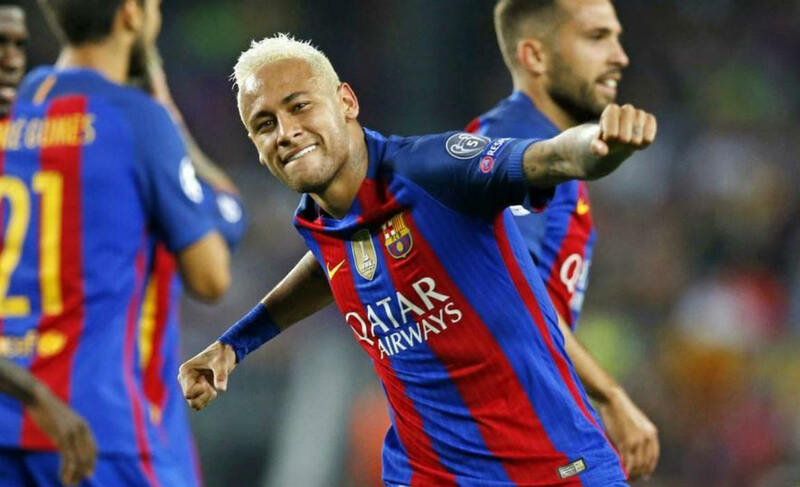 Messi-Neymar and Suarez are often seen joking around, hugging each-other off-the-pitch while also playing selflessly on-the-pitch. So, when Neymar was tying his shoes in a pre-match training in Manchester, Suarez kicked the ball from underneath his feet. Neymar almost fell but regained control and than gave Suarez one of the scariest stares you can imagine. Well, we all know he was just kidding but, boy, that was a scary stare.